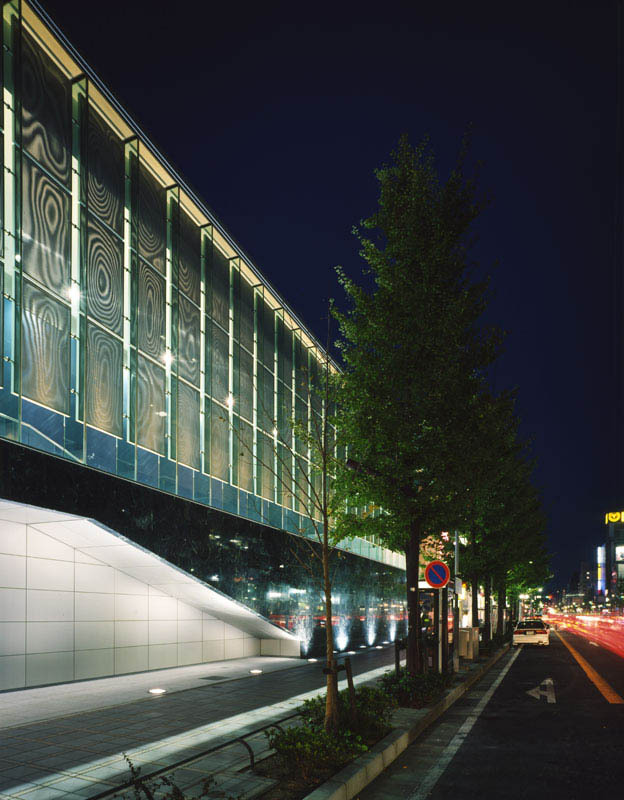 This is a 470-seat pachinko hall in a commercial area near the center of Nagoya. 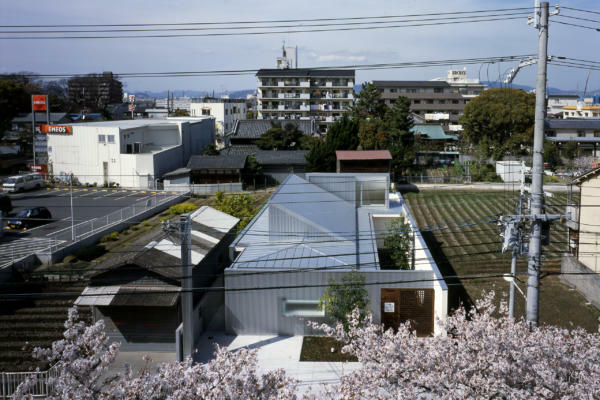 In part because of their flashy exteriors, suburban pachinko halls have attracted a great deal of attention in recent years, but this project involved the rebuilding of an existing facility in the middle of the city. 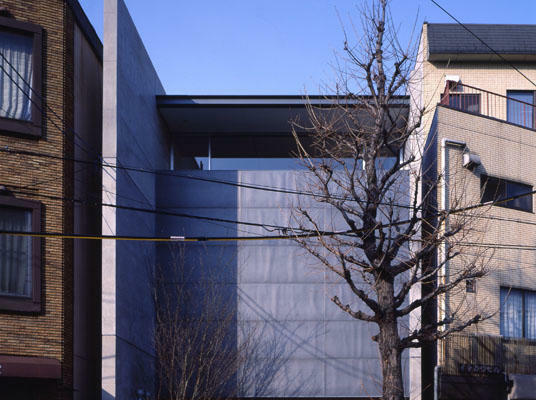 Although there is a narrow street in the back, this is essentially an urban building with just a single facade. 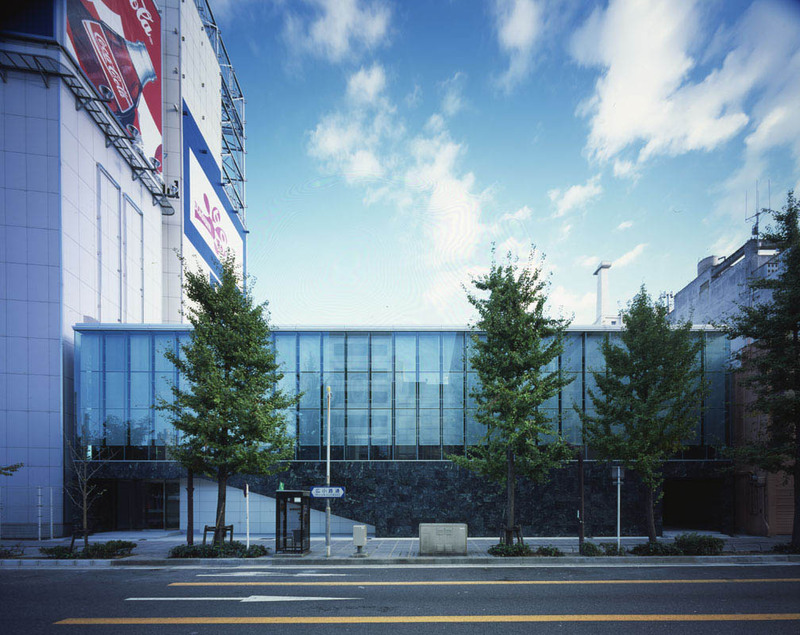 In such cases, the standard solution has been to make the facade of the pachinko hall as eye-catching as possible. However, the nature of the pachinko business and the environment in which the business operates have been changing lately. 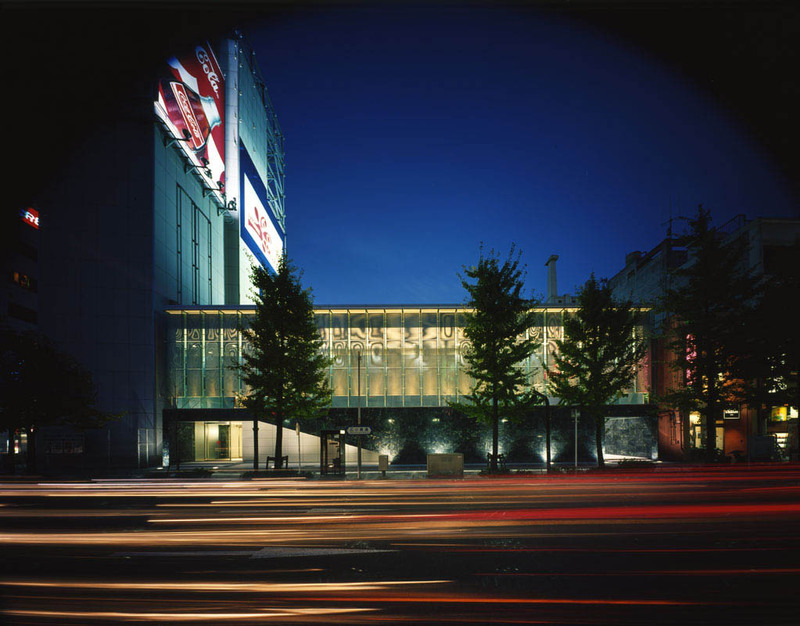 The image projected by pachinko halls has also been undergoing change. I came to the conclusion that an approach completely opposite from the conventional one might be taken in such an urban environment. I decided a quiet scheme that seemed at first glance to blend into the townscape was possible. 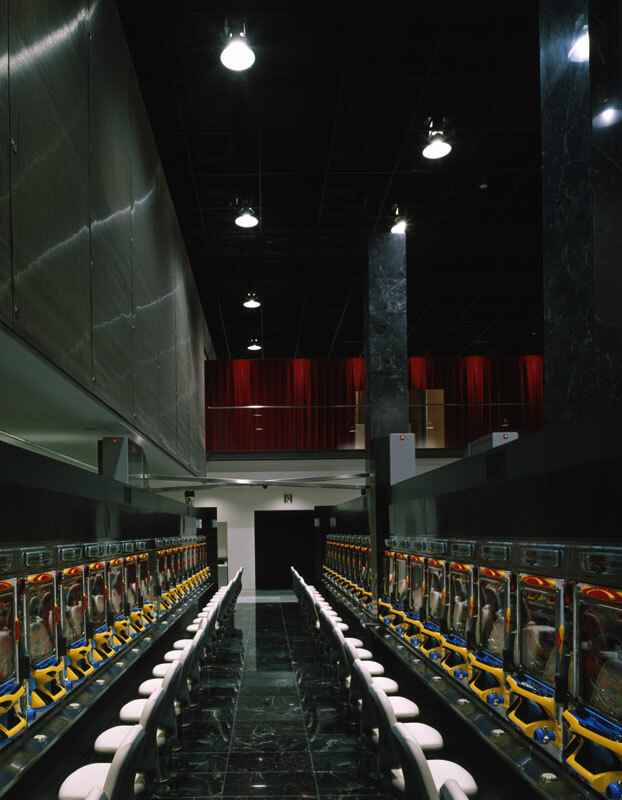 The interior spaces of a pachinko hall must be cut off completely from the outside world. The time as experienced inside the hall has no relation to real time. It does not matter whether it is day or night outside the building. It is precisely to escape the everyday flow of time that people frequent pachinko halls. A pachinko hall is not unlike a theater or a cinema in that respect. 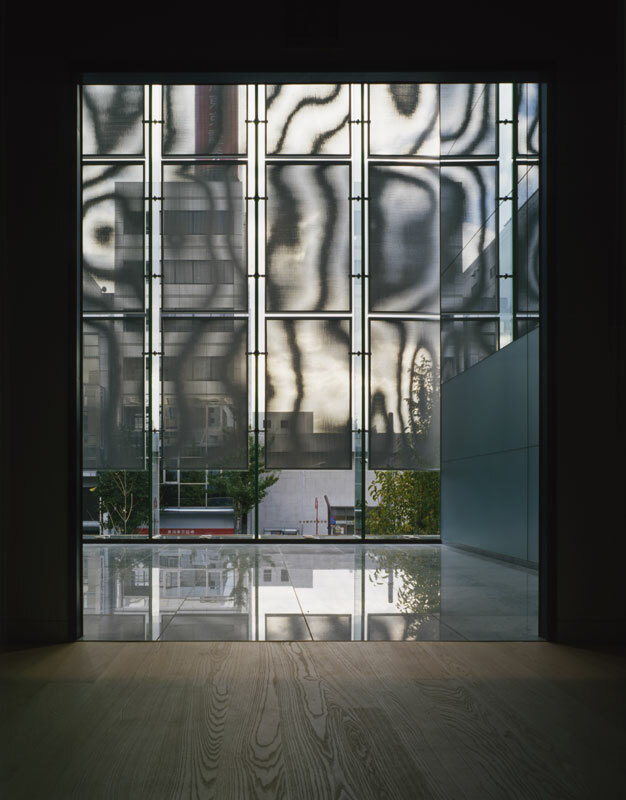 I decided to compose the facade in such a way that passersby cannot see anything inside at eye level but can sense something of the inside atmosphere from openings on a higher level, that is, a sort of piano nobile. 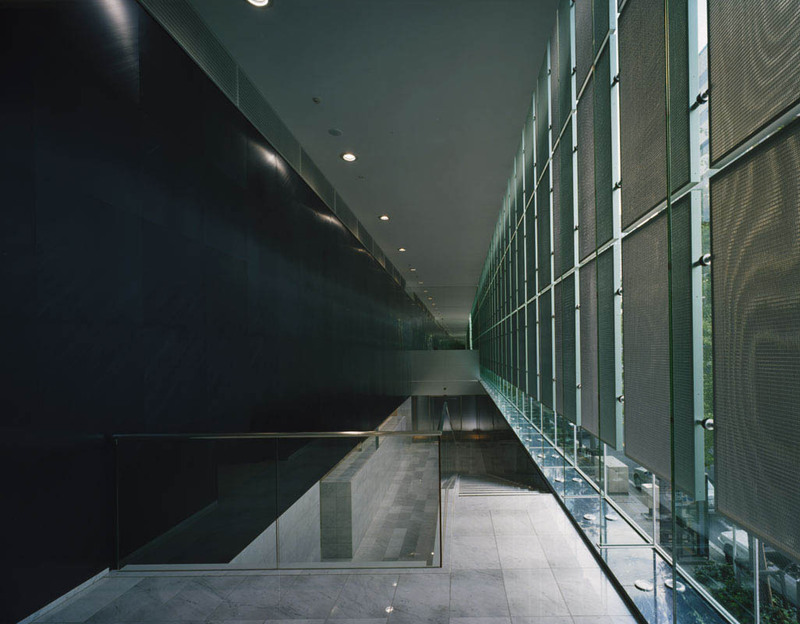 The building is composed of three spatial layers arranged parallel to the street. First, there is a high-ceilinged, shallow but wide entrance hall, in which the clamor of the street still seems to linger. 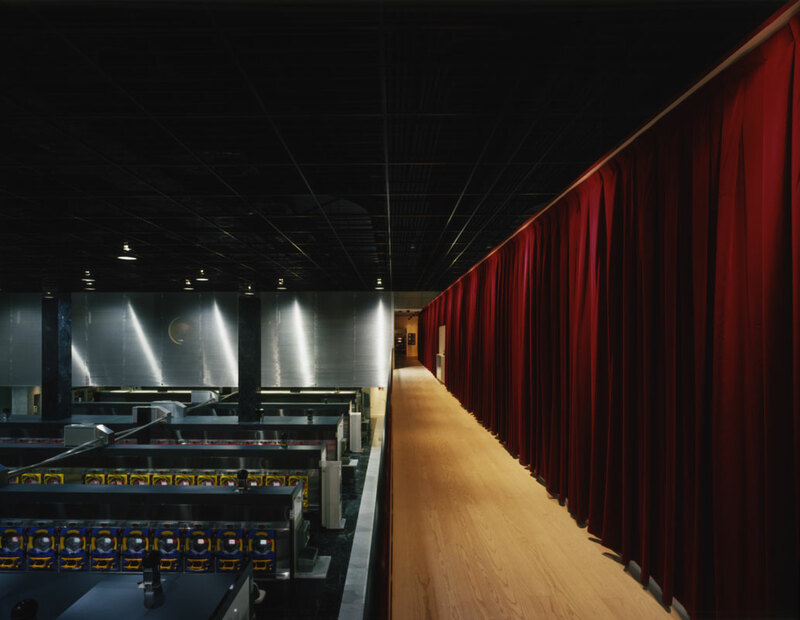 Second, there is the space of the pachinko hall, which is like a theater during intermission in that it suggests human presence even when it is empty. 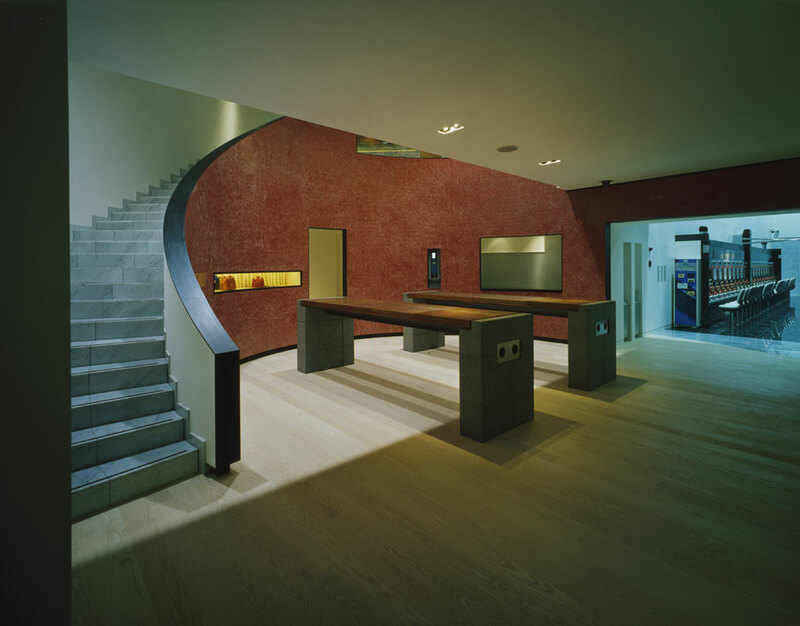 Third, there is the rear entrance hall, a space that is like a theater foyer where the excitement of the audience is allowed to subside after a play has ended. 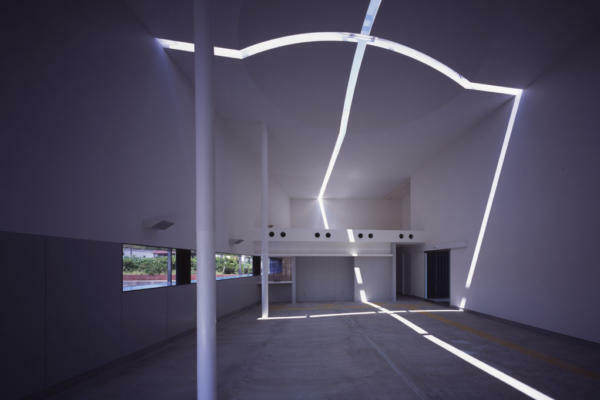 These three spaces and the fourth, outside space of the city at large are not connected but divided into separate parts, so that one experiences the building as one does a four-act play. 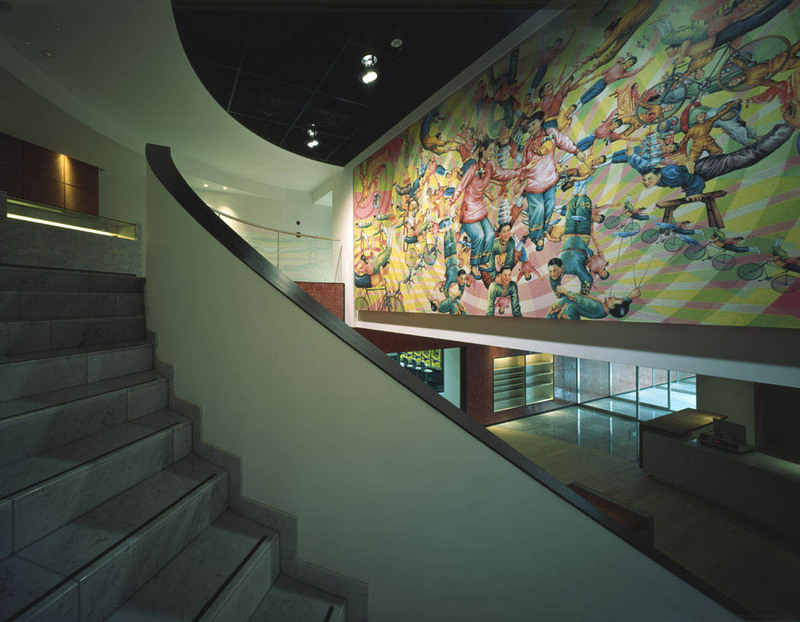 I must admit that while I was designing this work I thought of the spatial organization of the Teatro Olimpico and the Kanamaruza (a late Edo-period Kabuki theater in Kotohira, Kagawa Prefecture). 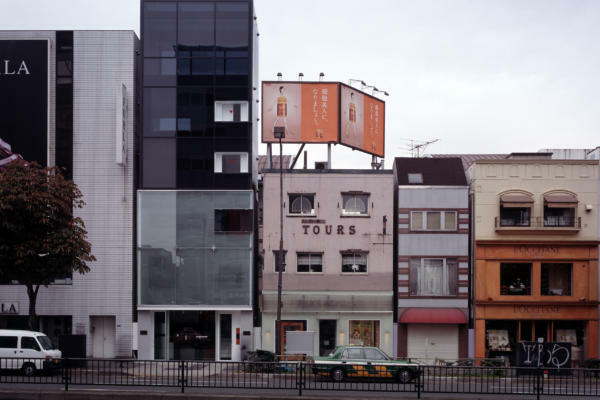 I wanted to see if a building could not be made into a theaterlike spatial collage. 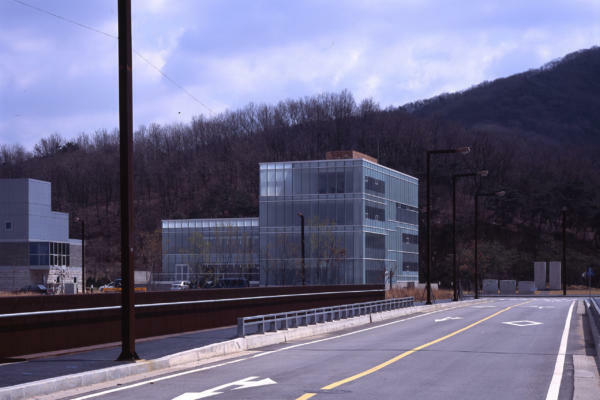 Unlike my previous works, this building is not designed in the manner of a motion picture, that is, as a sequence of scenes. I felt that such an approach was not conducive to the creation of a theaterlike space suggestive of an accumulation of dream fragments. On the contrary, it was necessary to cut the sequence into distinct parts.